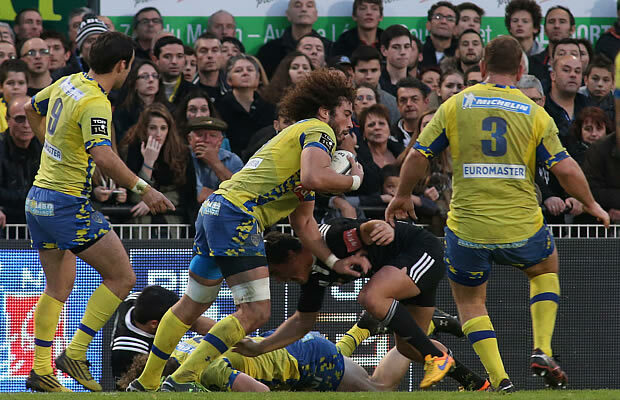 Clermont leapfrogged three arch-rivals to go atop the Top 14 after a hard-fought 26-21 victory over Brive on Sunday, the latter club’s first home loss since September 2014. The two-tries-to-nil result left Clermont on 33 points from 10 games, one ahead of Toulon and Toulouse, with Racing 92 now in fourth (30). Brive snatched a last-gasp defensive bonus point thanks to the unerring boot of full-back Gaetan Germain to move ahead of Bordeaux-Begles into fifth spot. After a second-minute yellow card for Clermont’s Portugal flanker Julien Bardy for a late hit on fly-half Matthieu Ugalde, Germain stepped up to kick his first penalty. The full-back saw a second effort moments late drift just wide. But Morgan Parra made no such mistakes in drawing Clermont level with a touchline effort. Germain restored the home side’s lead with his second penalty and was unlucky not to be played in for a sure try as flanker Said Hireche’s pass was intercepted by a covering Argentinian fly-half Patricio Fernandez, making his first appearance for Clermont. 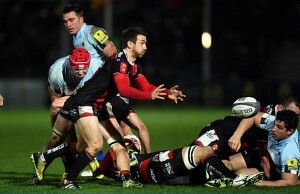 The full-back kicked a third penalty as Brive dominated possession. Scott Spedding’s long-range penalty attempt fell short and wide for Clermont, Fijian winger Malakai Radikedike stretchered off after a serious-looking leg injury in resulting play. Parra notched up a second penalty before Nick Abendanon and Spedding combined on the half-hour mark for Aurelien Rougerie to cross for Clermont’s first try in three games, converted by the France scrum-half. Germain hit a fourth penalty for Brive and a fifth early in the second period, Parra striking back with two quick-fire three-pointers of his own to hand the visitors a 19-15 lead. Germain cut the deficit with his sixth penalty, but a tiring defence was shown up with 20 minutes to play as replacement winger Albert Vulivuli stepped through some weak tackling to score Clermont’s second try, Parra hitting the extras. Germain handed his club an invaluable losing bonus point with a seventh penalty as the referee brandished two yellow cards for Clermont’s Ludovic Radosavljevic and Brive’s Arnaud Mela after an all-in fracas at the whistle. In Saturday’s action, All Black centre Ma’a Nonu enjoyed a winning Top 14 debut for Toulon with a crushing 53-16 win over Agen. Toulouse matched Toulon on points with a 27-3 win over rock-bottom Oyonnax on the day that inspirational skipper Thierry Dusautoir announced his international retirement. 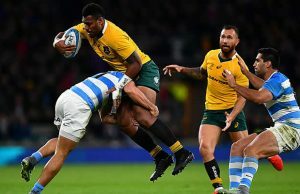 While Nonu enjoyed a winning start to his new life in France, it was a different story for Australian scrum-half Will Genia as champions Stade Francais slumped to a last-minute 24-21 loss to Bordeaux-Begles in Paris. Castres claimed a third successive win with a 34-19, bonus-point triumph over Montpellier with backrow forward Alex Tulou scoring a hat-trick against his former club.